Property in and around Horley, Surrey on the edge of Gatwick. Property in and around Horley and the Gatwick area. If you spot an errors or have further information please contact Horley Online. Situated halfway between London and Brighton and close to Gatwick Airport, Horley in Surrey is a great place to live and has a thriving property market. A wide range of properties are available from new apartments in the centre of Horley, to new housing developments on the edges of Horley. • Semi-detached properties sold for on average price of £396,276. • Detached properties sold for an average of £534,411. • Flats fetched an average of £236,228. The average overall price of homes in Horley was £414,070, Smallfield was £394,020, Charlwood was £444,140. 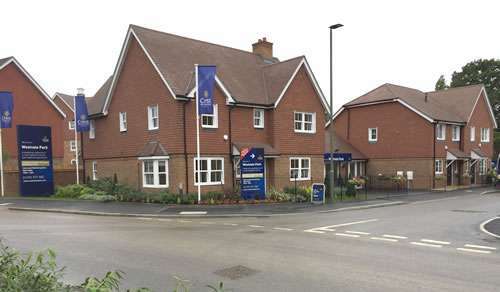 CLICK HERE TO VIEW PROPERTIES FOR SALE IN HORLEY, SURREY. 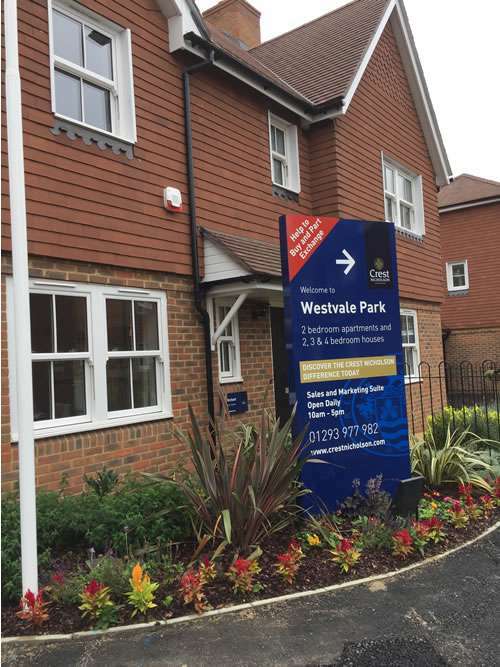 This new development on the west side of Horley is situated on 244 acres and is bordered by the Reigate Road (A217 ) to the west and the Bonehurst Road (A23 ) to the east. This area of Horley was first allocated as a location for the development of 2,600 new homes in the 1994 Surrey Structure Plan. Crest Nicholson, A2Dominion, Taylor Wimpey and Persimmon have been building the 1500 houses and surrounding infrastructure. The plans included a neighbourhood centre with 1,000 square metres of commercial floorspace. Three to six small shops. Hopefully lessons will have been learnt from the Acres development where the retail space has been slated as too small for retailers. A community hall and sites for a medical centre and a place of worship. 29 hectares of open space, play facilities and two allotment sites were also proposed. • The entrance to Westvale Park is on the Reigate Road (A217). See our map of the Horley area. Visit the Crest Nicholson website for more information on Westvale Park. Visit the Taylor Wimpey website to see their infrmation on Westvale Park. We understand that 25% of the dwellings will be for affordable housing. Does anybody know what ‘affordable housing’ means on this development? If you do we would be glad to know. Please use our contact form. A new business park is planned for the area to the west of the Balcombe Road. The proposed business park is a public/private partnership between Reigate and Banstead Borough Council and Millhill Properties. To see more details visit the Horley Business Park website.